You are invited to the Annual Benefit Luncheon on May 4th 2019 1pm in the Davis Dining Hall at Camp DeWolfe. Please click here to purchase tickets by April 27th 2019. 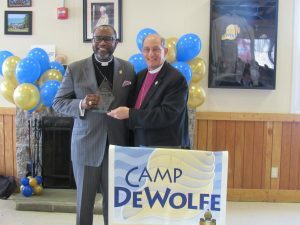 Last year, on April 7th 2018, Camp DeWolfe hosted it’s 4th Annual Benefit Luncheon in the Davis Dining Hall. The Rev. 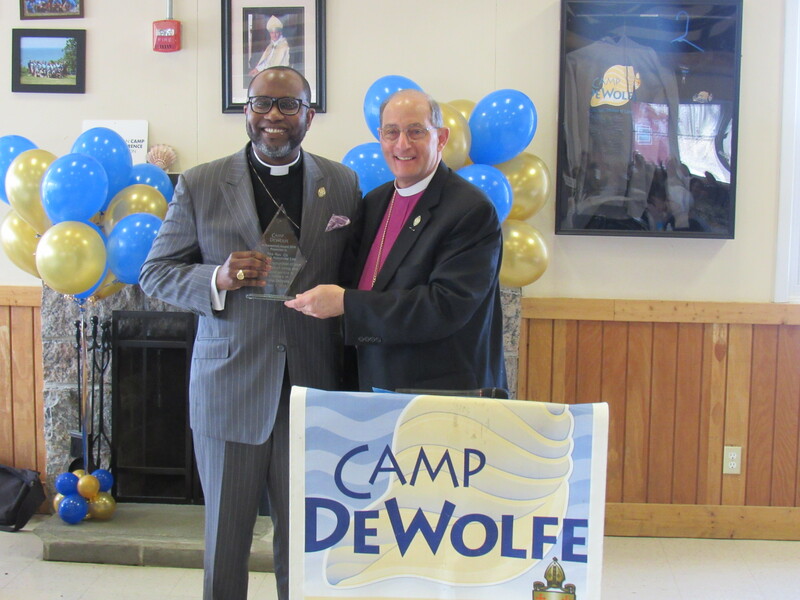 Canon Terence Lee from St Gabriel’s Church in Hollis, Queens, was honored for his service and faithfulness to the ministry of Camp DeWolfe. Over one hundred and ten (110) guests – camper families, alumni, campers, board members, and parishioners from all across the Episcopal Diocese of Long Island participated in the annual celebration. The event was sponsored by Episcopal Ministries of Long Island and the flower centerpieces for the tables were provided by St Gabriel’s Church in Hollis Queens. The presentation included speeches by Board Vice-President, David Cannon of St Mark’s Church, Islip, Board member, David Asher of Christ Church, Oyster Bay, the Reverend Canon Terence Lee, and the Bishop of the Diocese of Long Island, the Right Reverend Lawrence Provenzano. Bishop Provenzano spoke about the meaning of place and the Reverend Canon Terence Lee shared about the importance of remembering that young people are not the future of the church, but they are the church today, and that one the greatest blessings and callings to each of us is the opportunity to serve. 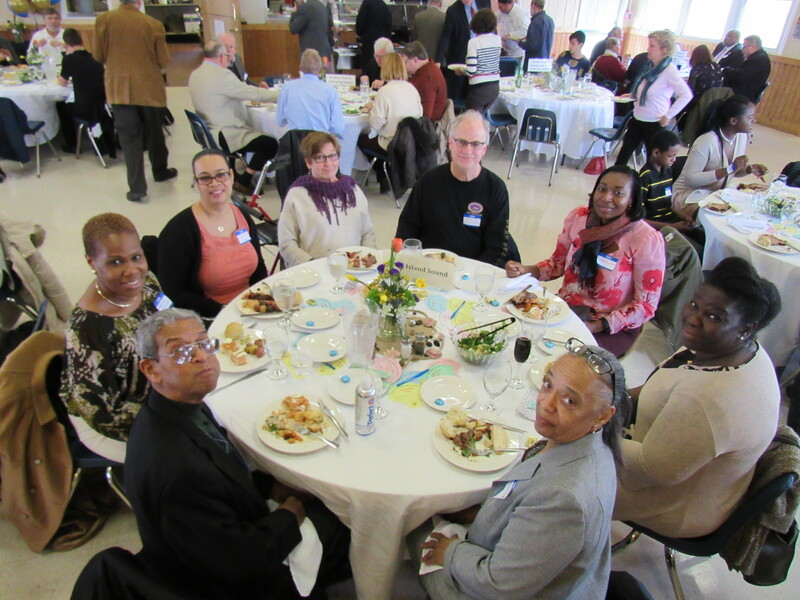 This year’s benefit luncheon raised over $26,500 in support of the ministry Camp DeWolfe. To view photos of the 2018 Benefit Luncheon click here.